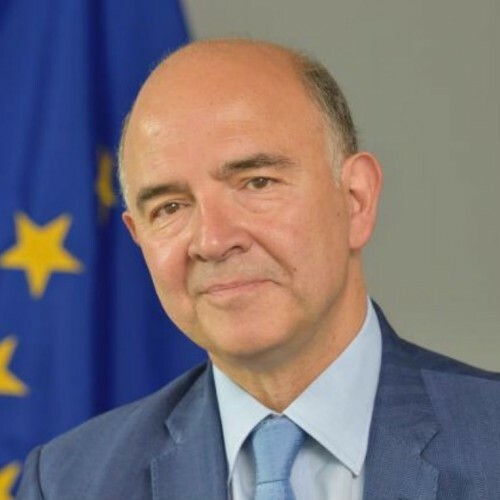 Pierre Moscovici is a French politician, serving as the European Commissioner for Economic and Financial Affairs, Taxation and Customs since 1 November 2014. From 16 May 2012 to 2 April 2014, he served as France's Minister of Finance, he has also been the Minister for European Affairs from 4 June 1997 to 6 May 2002. The European Commissioner has also been elected as a member of the European Parliament as well as one of the 14 Vice-Presidents of the European Parliament. Pierre Moscovici has a DEA in economics and philosophy, he graduated from Sciences Po Paris and the National School of Administration.